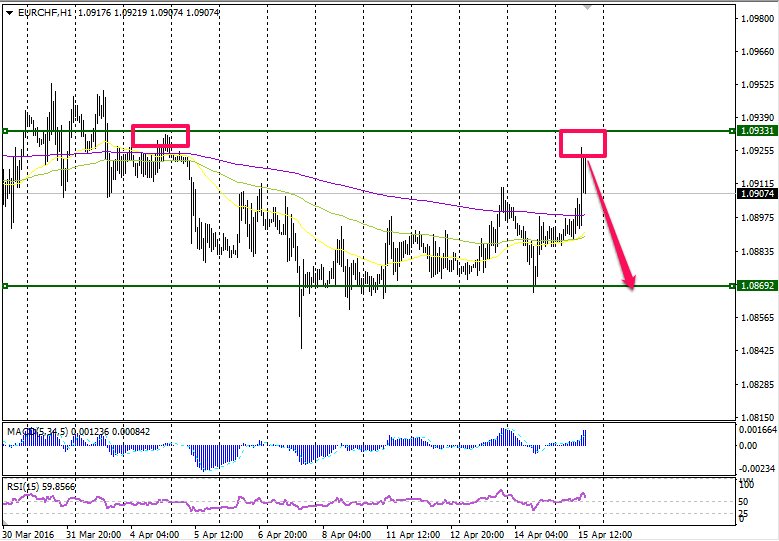 I think that EUR/CHF asset will go down. yottorr, I'm not gonna look at history, but I think that in your case the price could've gone to the resistance level with a high probability and only then if there was no breakthrough, it would go down. But I agree 100 % about samosren's situation, it's a done deal. Why haven't you continued your forecasts? It would be interesting to observe your trading. It's a same nobody posts analytics in this thread anymore. I like trading this currency pair. have you considered being an analyst yourself? You do like trading this pair. I think, the situation will be the same. You'll just write a few posts about the market and vanish. I don't see a good market entry yet, the pair is in flat, I'll wait for good price impulses to open the deal. I think a couple of news will be published in the nearest future and it'll be a good time to make a decision.